A couple blocks later, turn left to head north over the bridge. 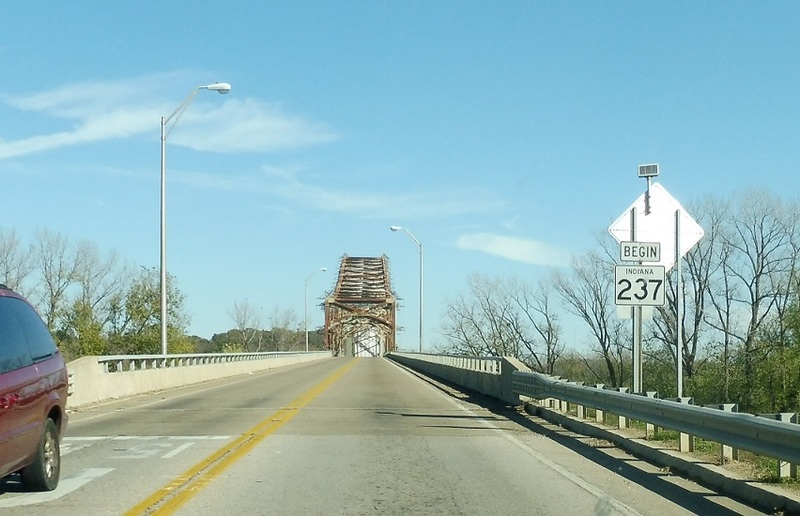 Just after the turn, we’ll approach the bridge and Indiana SR 237 begins, because Indiana maintains the bridge. 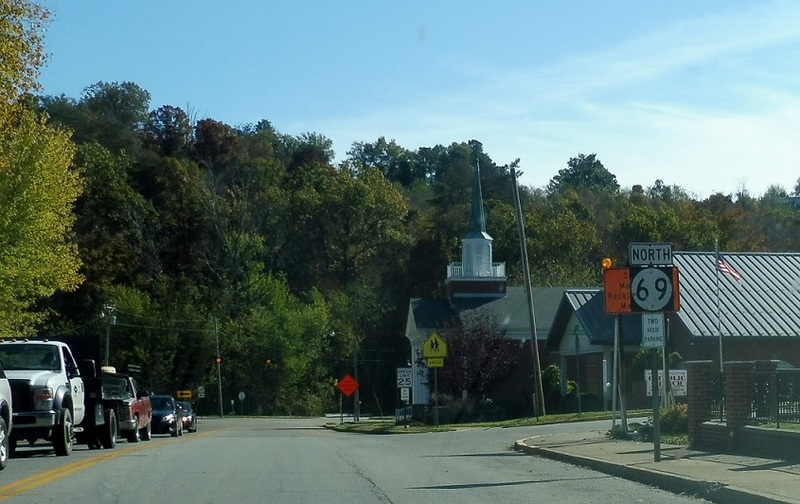 Follow 237 up to Cannelton and points beyond.